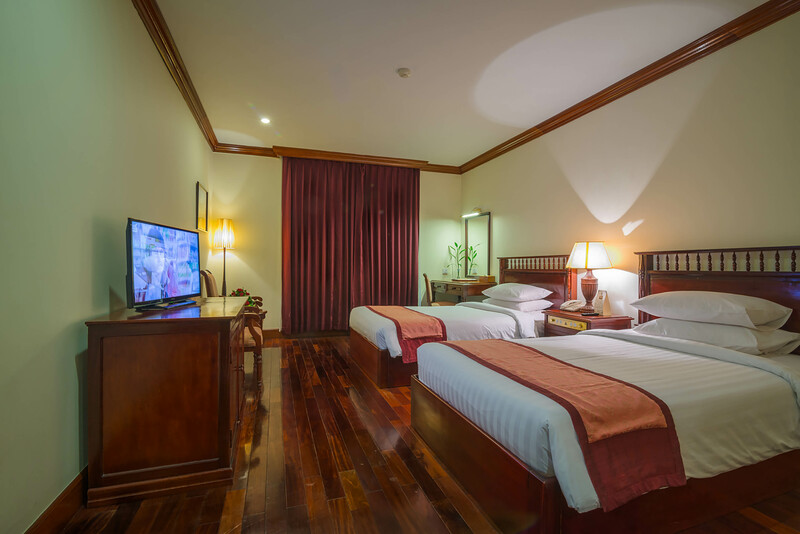 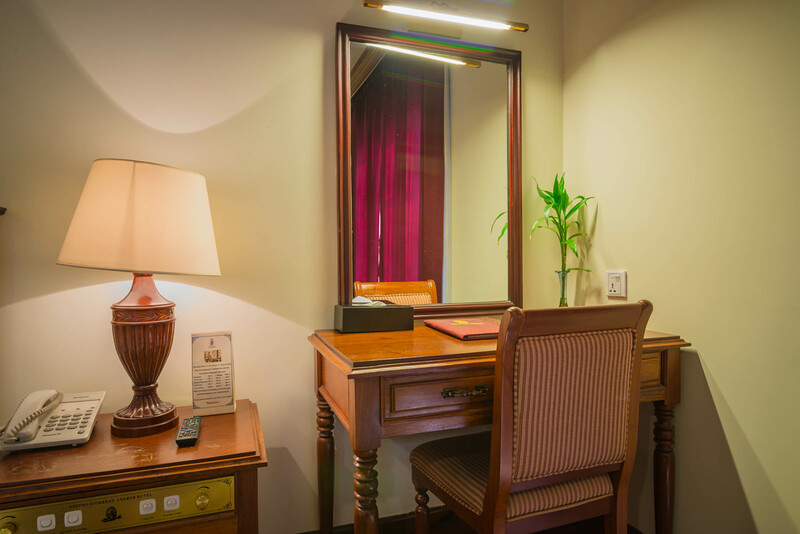 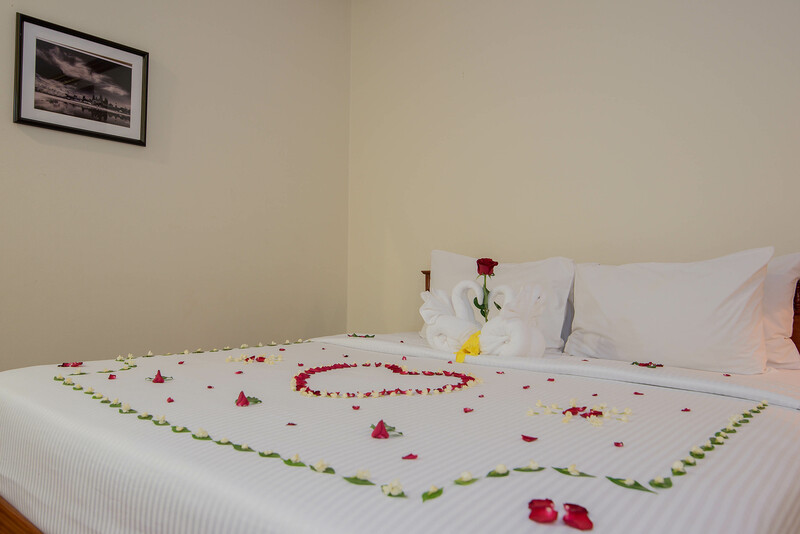 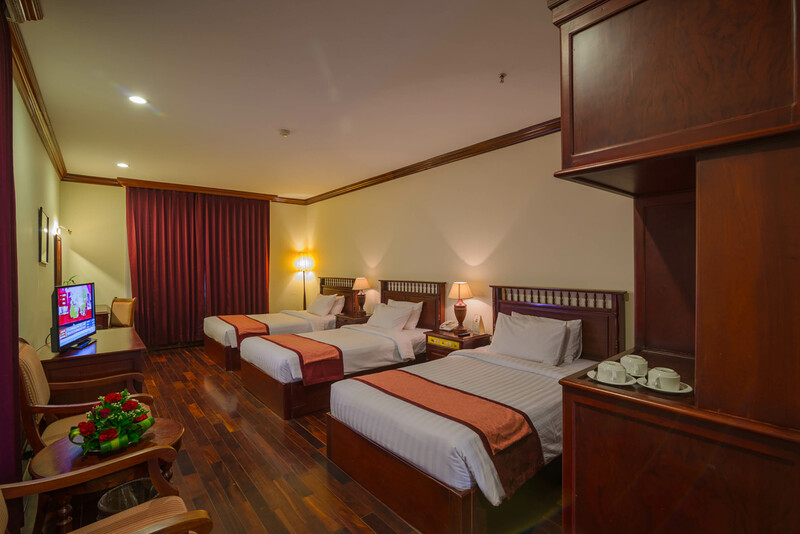 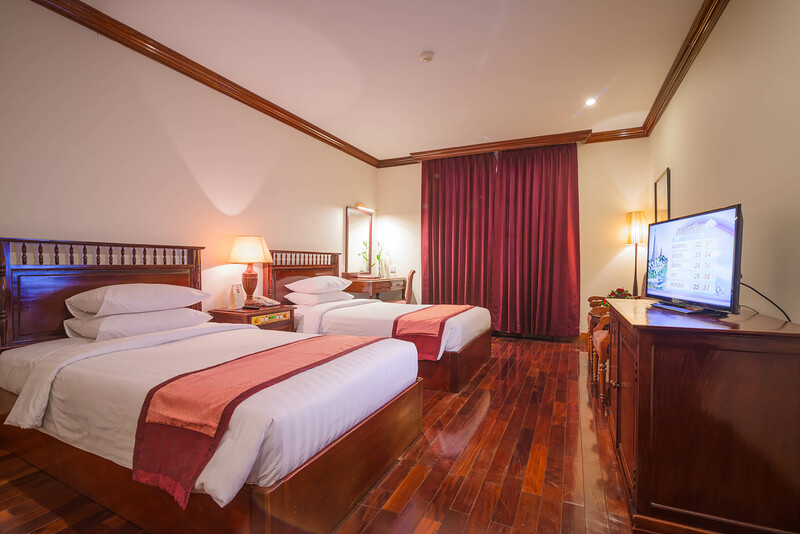 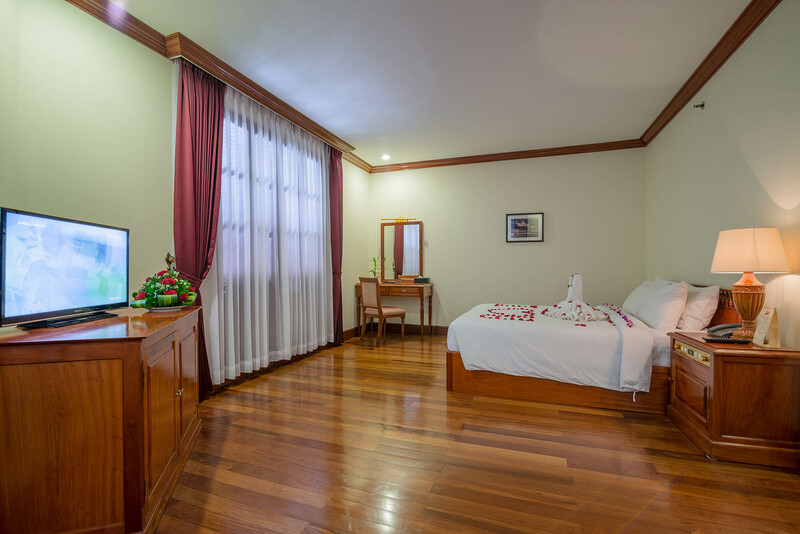 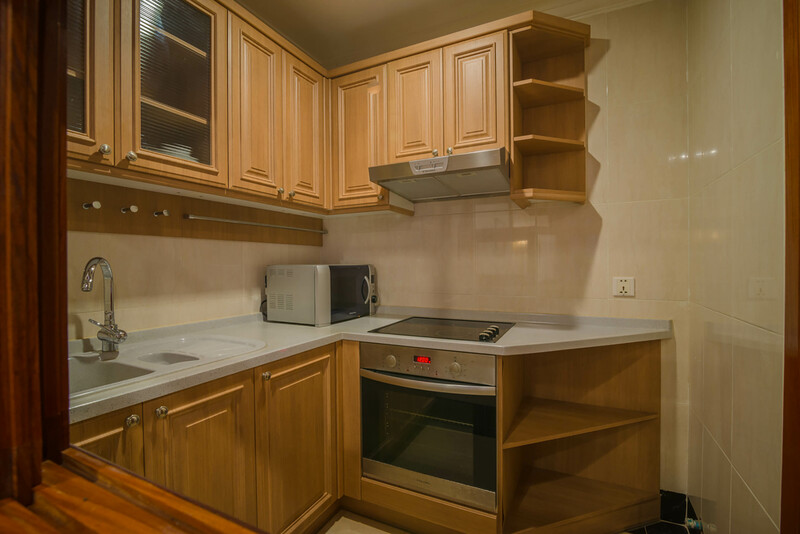 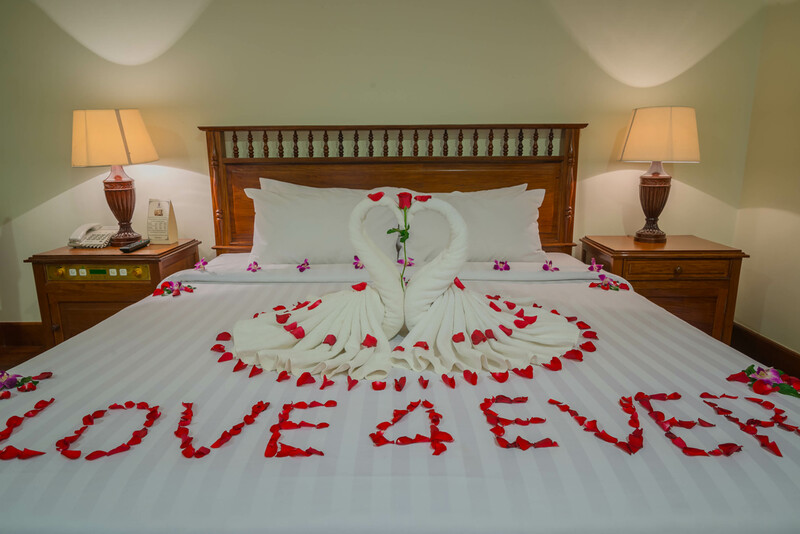 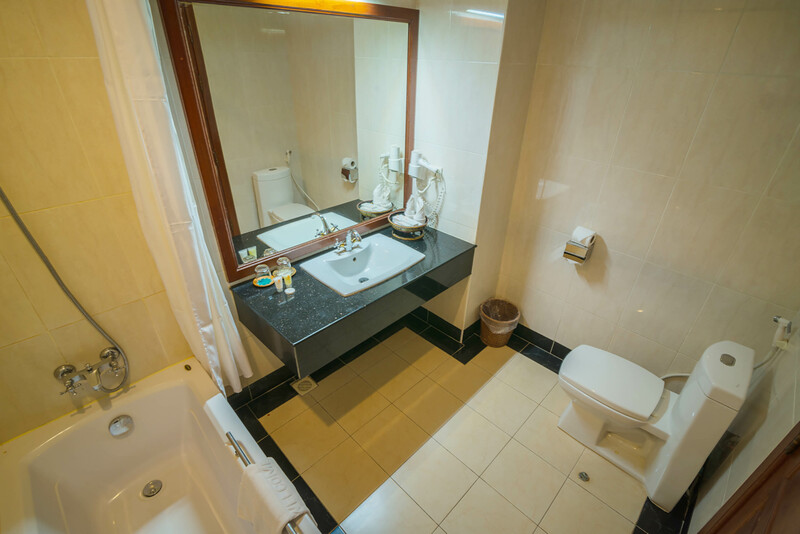 The Superior rooms are located in both building, wooden floor, sound proof window, all rooms are full set of amenities, rooms designed as French colonial characteristic blended with Khmer Cultural Products mixing with the high class and modern facilities. 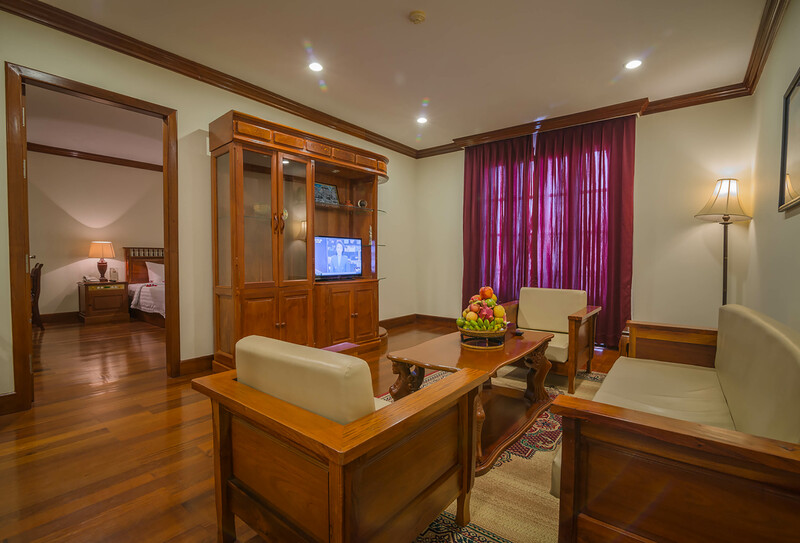 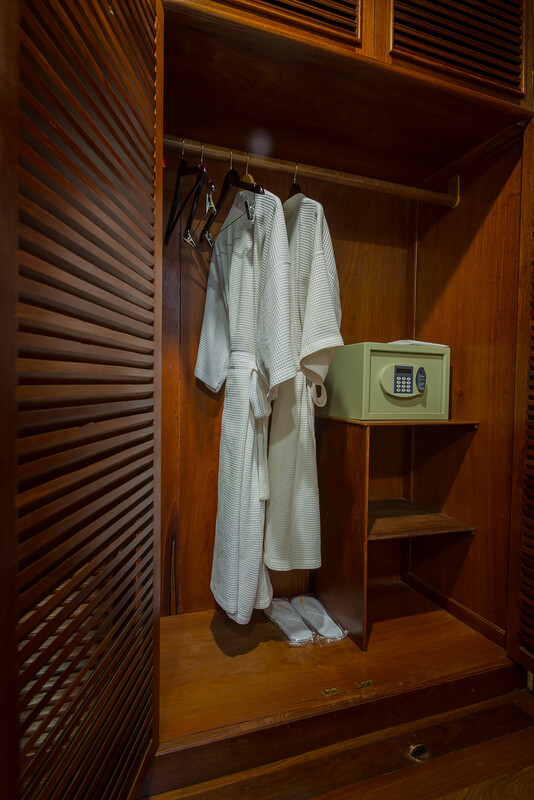 The Deluxe rooms are located in both building, wooden floor, sound proof window and door, with private balcony in each room, all rooms are full set of amenities, rooms designed as French colonial characteristic blended with Khmer Cultural Products mixing with the high class and modern facilities. 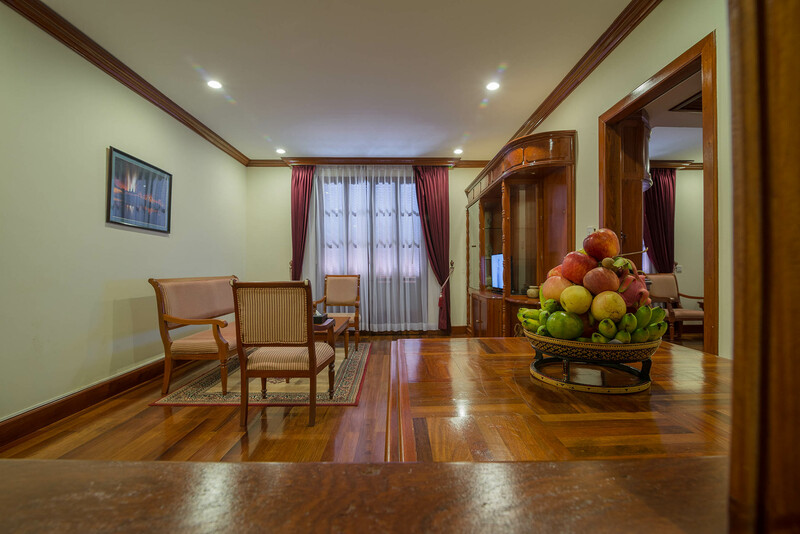 Located in main building The third category of room in the Hotel, wooden floor with sound proof system by the window & door, private balcony, Living Room, Kitchen, each room full set of amenities, rooms designed as French colonial characteristic blended with Khmer Cultural Products mixing with the high class and modern .facilities. 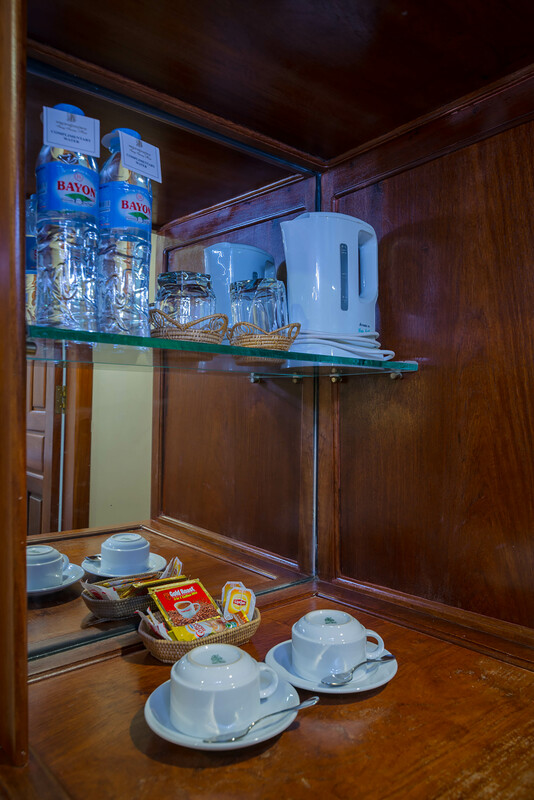 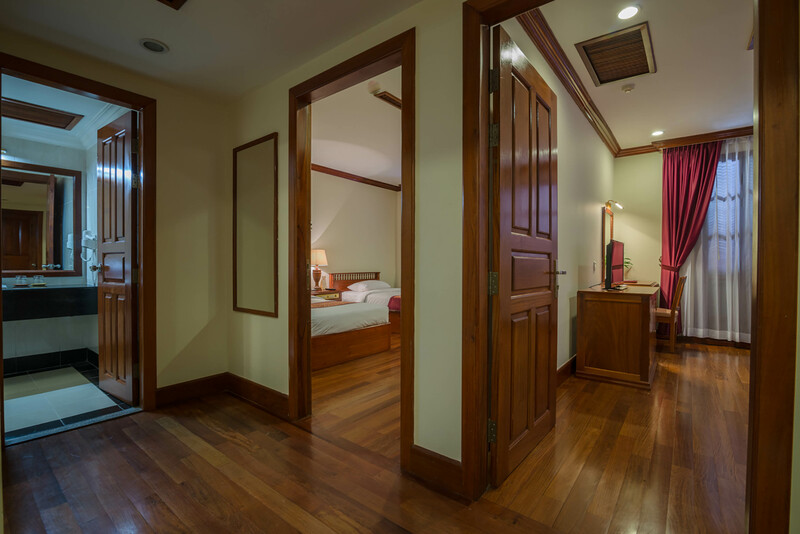 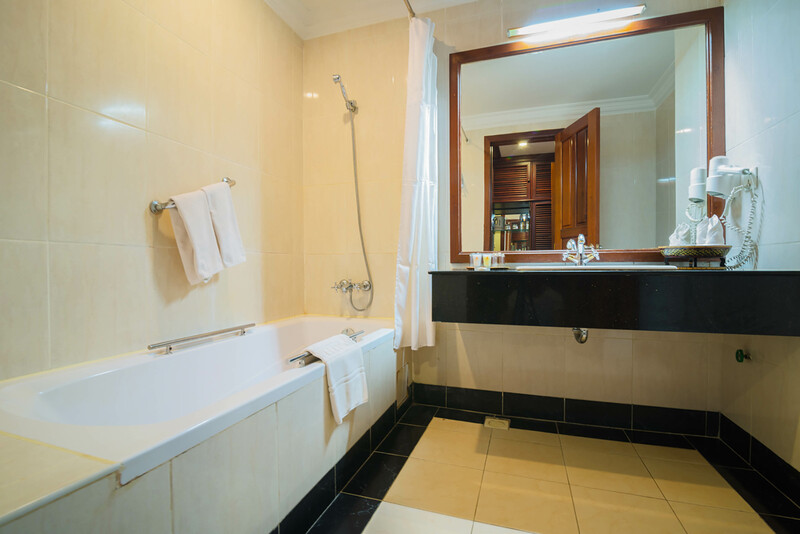 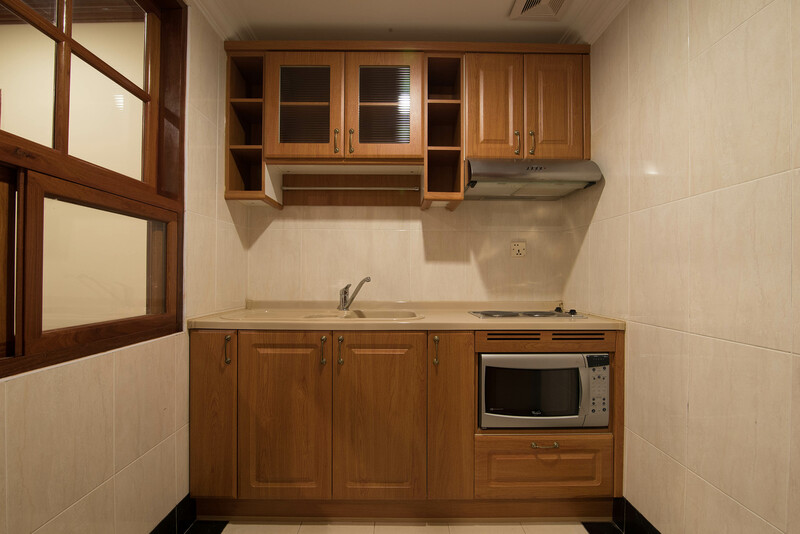 Located in Colonial Building The Forth category of room in the Hotel located in the original building 1930s, French colonial style designed, wooden floor with modern facilities, double class sound protect system, living room and kitchen are attached in. 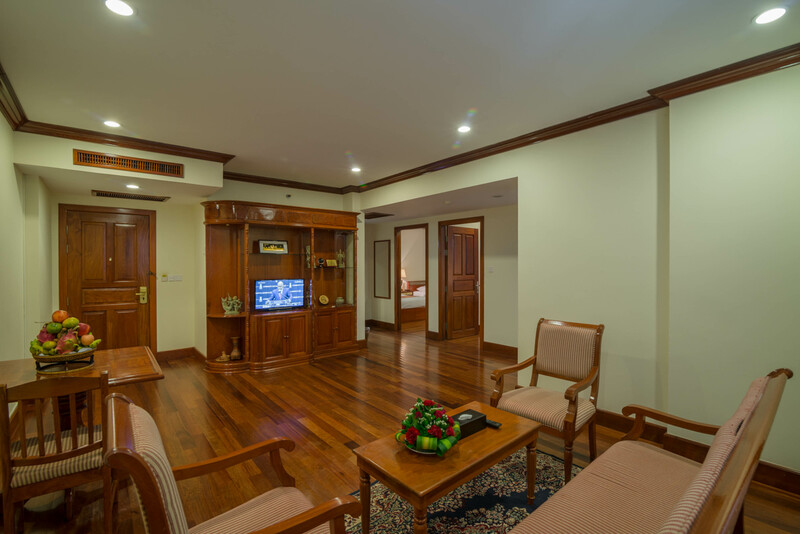 Steung Siemreap Suite, the most welcome for family accommodate, wooden floor with sound proof system by the window & door, private balcony, Living Room, Kitchen, each room full set of amenities, rooms designed as French colonial characteristic blended with Khmer Cultural Products mixing with the high class and modern .facilities.